Everyone wants to love and be loved! That is why Valentine’s Day can be such a bittersweet holiday. Each heart secretly hopes that someone who loves them will declare their affection with a greeting card or some kind of gift. Yet often there are many broken hearts for whom the day comes and goes just like any other day with no special surprises. 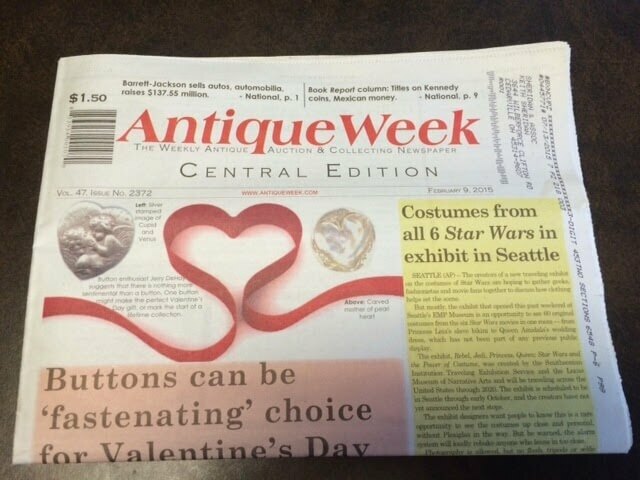 This week when I received our office newspaper copy of Antique Week, a weekly antique newspaper, I was reminded again of the fascination with the holiday of love. 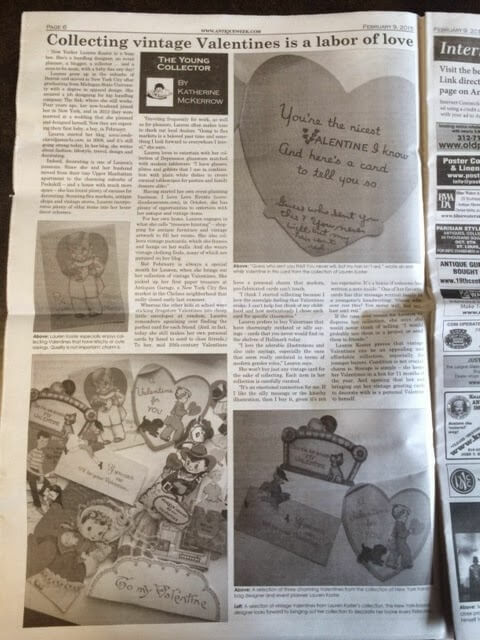 There was an interesting article about a collector who has gathered many vintage Valentine cards over the years. When she was young she so enjoyed crafting her own special notes for friends and family that she started collecting vintage cards. She has filled a box with them and takes them out a few weeks of the year to decorate her home. What a sweet reminder of years of love shared between sweethearts. It got me thinking about the oldest Valentine ever sent. It was written by Almighty God before the creation of the world. He looked down on His once perfect creation and His heart was broken by the sin that had ruined His relationship with each human heart – a sin that brought death. Knowing that there was only one way to restore this love connection He sent His only Son, Jesus Christ, Who bore the consequences by dying in our place. By doing this God made available the opportunity for all who believe to be brought back into relationship with Him and to spend eternity forever in His presence. Throughout the Scriptures God writes words of love to everyone Who belongs to Him. They are ours for the taking every day of the year if we only open the Bible and read. So whether you get a fancy heart-shaped card and box of candy this year or not, remember that God’s message of love and gift of eternal life is just for you if you will only receive and believe – Now that is the BEST vintage Valentine! Click here if you want to receive God’s special Valentine gift of love. It’s waiting for you!